I do believe that I’m the only non-swimmer in Dahab, and as it is essentially watersports mecca this does become a bit of an issue. Everyone around me is bustling with all the tasks they need to do pre- and post-dive (looks way too much like hard work to me), and they sit together in excited groups at sundown, drinking Sakara and sharing stories about what they’ve seen. This is a Bedouin-owned and run establishment in Mashraba that is beautifully run and gives a really good taste of that legendary Bedouin hospitality. The rooms are quite simply huge, and are the best I’ve stayed in in Dahab. 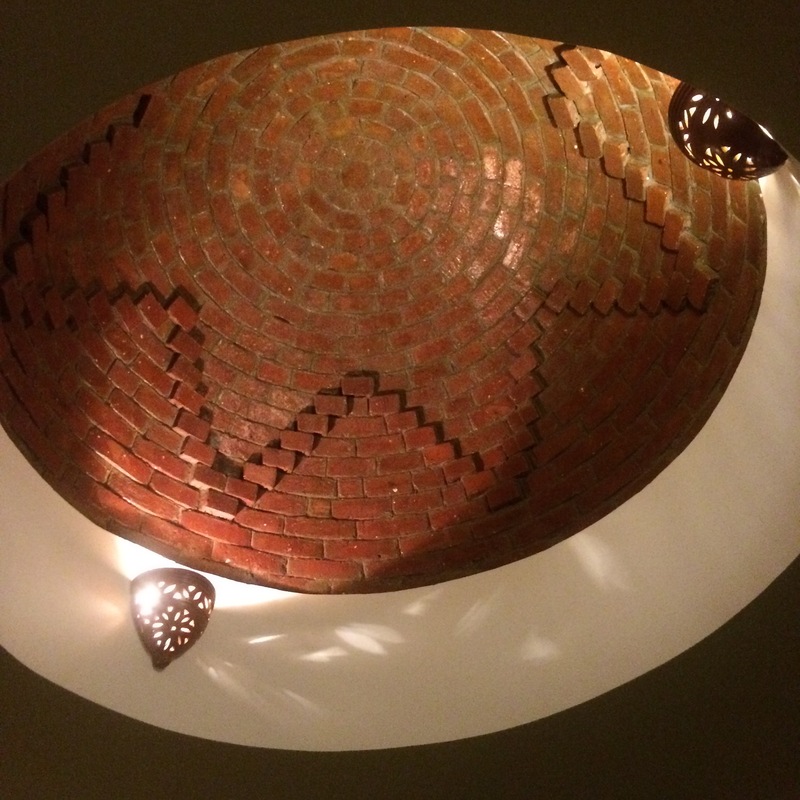 Glossily tiled, with a brick cupola in the ceiling and a huge bed, they are luxurious but not too expensive. There are only 22 rooms so it’s quiet – I come here to get a good night’s sleep and to feel safe and among friends. It is a two-minute walk away from the sea via a shortcut. I use Acacia Hotel pool if I want to see the sea but I will always stay at Sheikh Ali. There are a few Everyday Cafés quite close to each other in Dahab. The one I prefer is the oldest one, just south of the bridge, in Mashraba. 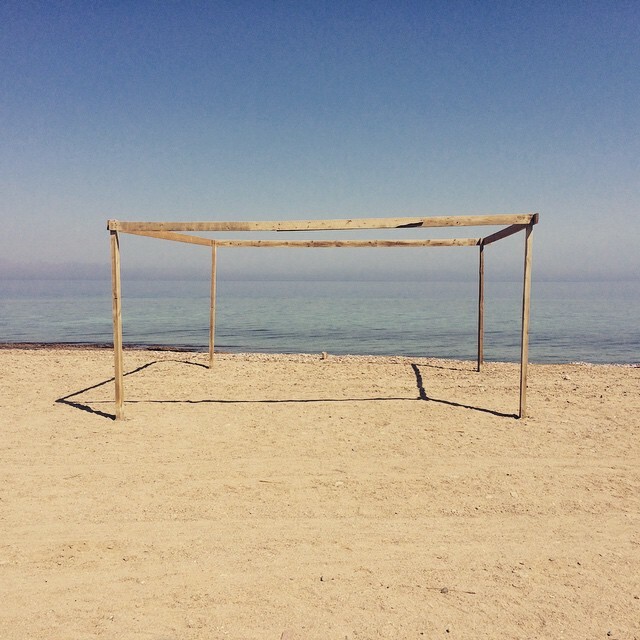 It has windows made out of old doors and they make the perfect frame for staring out at the sea and watching local Bedouin boys trying to catch puffa fish. Plus they tend to give you free things such as slices of brownie, if you stay there long enough. They have full-to-bursting bookshelves, and a great Bedouin vibe. 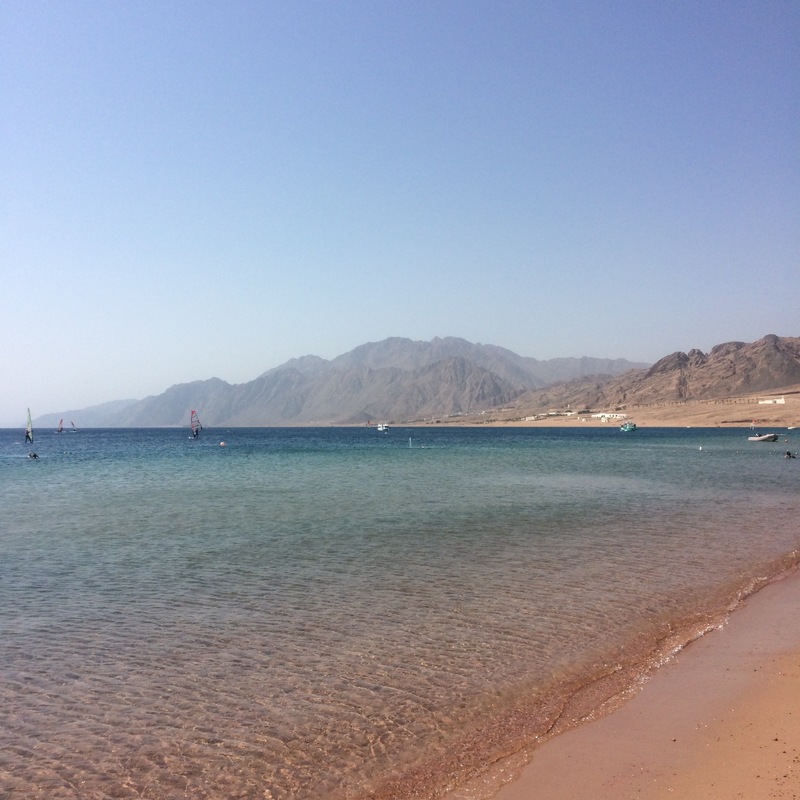 You can easily get a cab (for about £2) from Sheikh Ali to the Swiss Inn – a large resort on Dahab’s glorious lagoon beach. You pay £10 to use the beach and towels for the day, to get access to wifi and their beach bar, which is perfectly placed for enjoying a cocktail as the sun sets behind the Sinai Mountains. The lagoon has to be seen to be believed – you can walk out along the whole stretch of it, watching the windsurfers stud the bay (or if there’s no wind – the wakeboarders and paddle-boarders are out). In front of the Swiss Inn there is a swimming area that allows me to go into the water and keep my feet on the sand – little fish swim around your legs. It really is beautiful. Just along from the Swiss Inn on the lagoon you can take a submarine boat out on to the Napoleon Reef. You are beneath the boat in a glass capsule and if, like me, you’ve never dived, you will see the fish you’re missing out on. I cried the first time I did it. There is a guide on board to explain what you’re seeing, but his commentary was mainly in Russian as I was the only British guest. I didn’t really need it, to be honest. You can book this through any of the hotel trip guides, or from the main town. 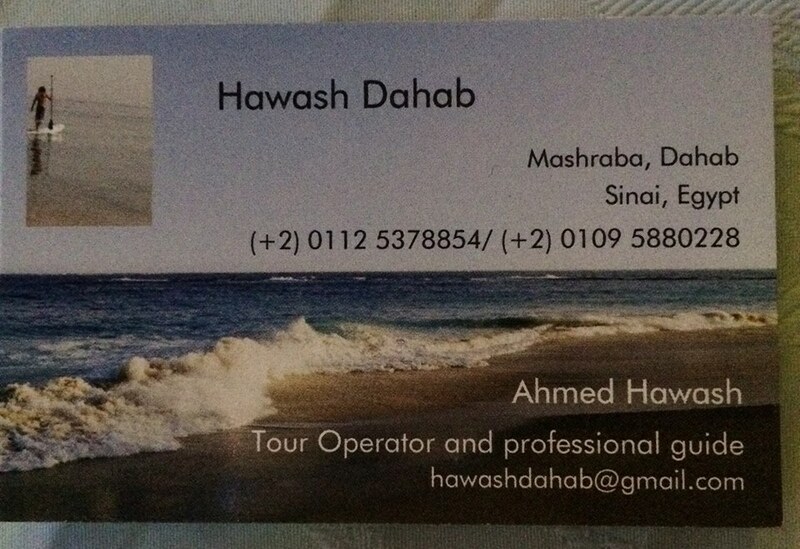 I recommend my friend Hawash, who works at Swiss Inn arranging all sorts of tours. This place is run by my friend Nadja. It is in the trendy Bedouin area of town – the Lighthouse – where all the divers hang out. Nadja serves great pizza and pasta and serves them to you on chunky wooden tables by the sea. You can also use the café sun loungers to hang out for the day (as long as you buy something). This is the world’s oldest, continuously inhabited monastery, and it is said to be the place where God appeared to Moses in the Burning Bush (said bush is still there). Over seventeen centuries old, it is a fascinating historical site, at the foot of Mount Sinai, and the galleries showcase its stories and collections really well – especially it’s ancient manuscripts and books. You can walk up the mountain to the side of the monastery to get a really good aerial view of the site. 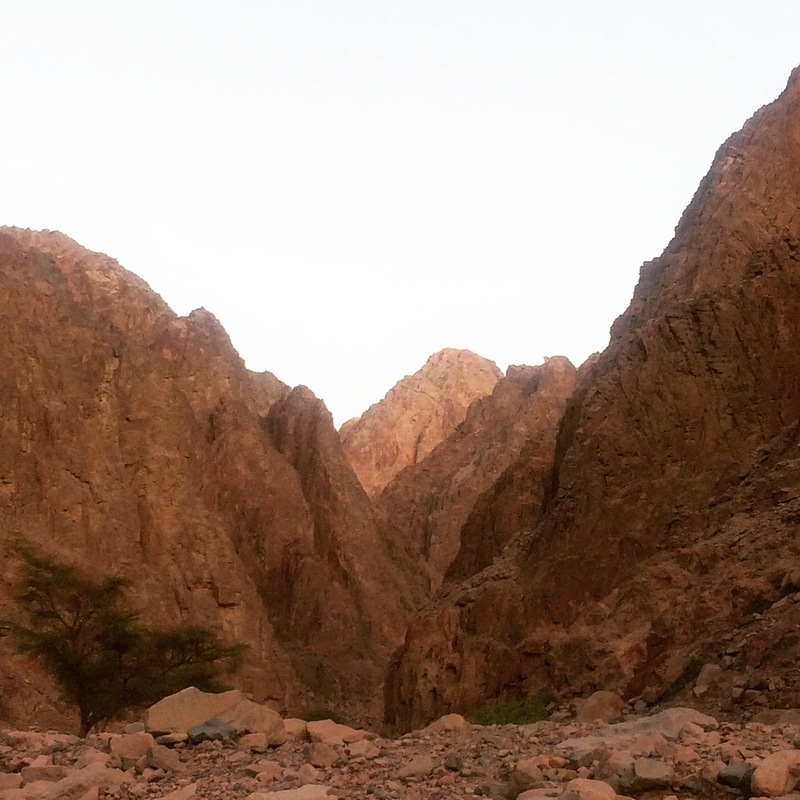 You can also couple this trip with a sunset/sunrise trip to Mount Sinai. I have also visited the White and Coloured Canyon trips – they’re great, but be prepared for a scary climb out of the White canyon at the end. Worth it, but best to know in advance! 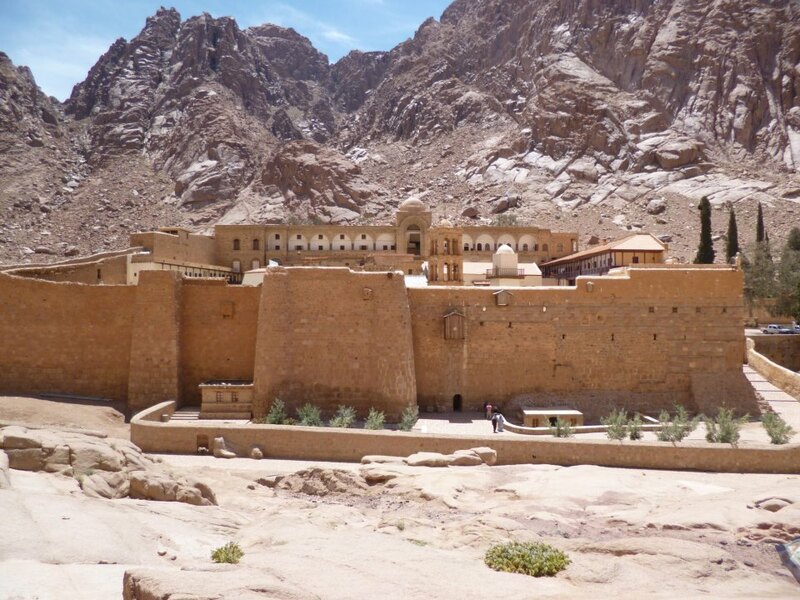 St Catherine’s – the oldest monastery in the world. This is a fairly new place on the seafront of Masbat in downtown Dahab, and it where my friend Vigo Pushkin works. He is a real star and will make you feel so welcome and cared for. 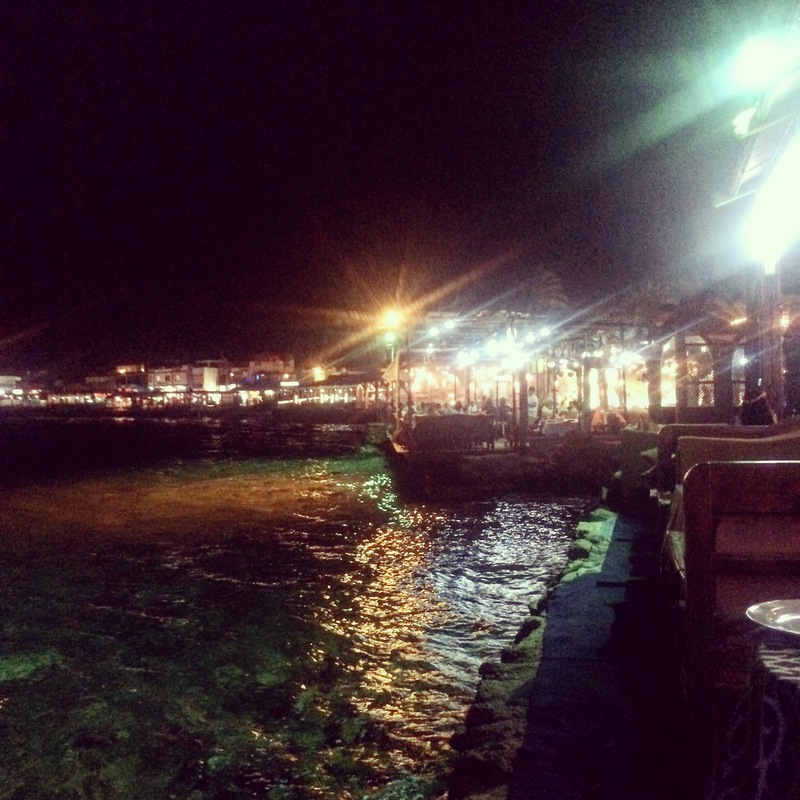 This restaurant has tables that overhang the sea and you can look out at the twinkling lights of Dahab seafront. Vigo used to work at Friends, another favourite, which is great for rooftop views and shisha smoking. 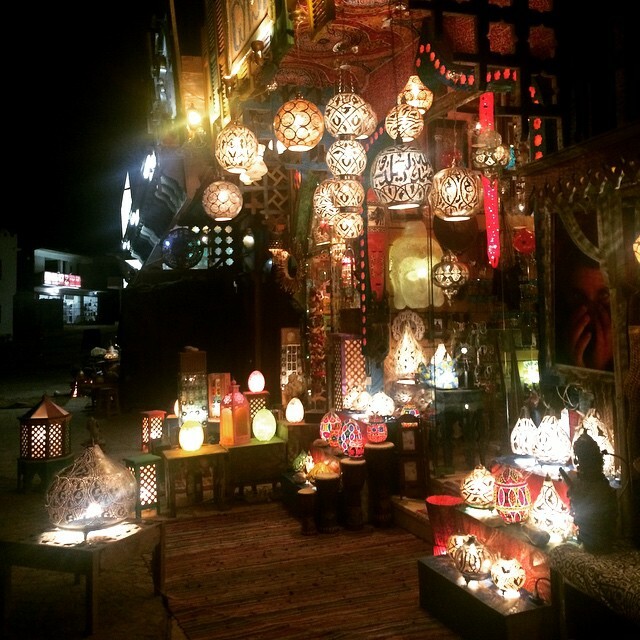 This is a gorgeous shop on either side of the road just before the bridge in Mashraba. 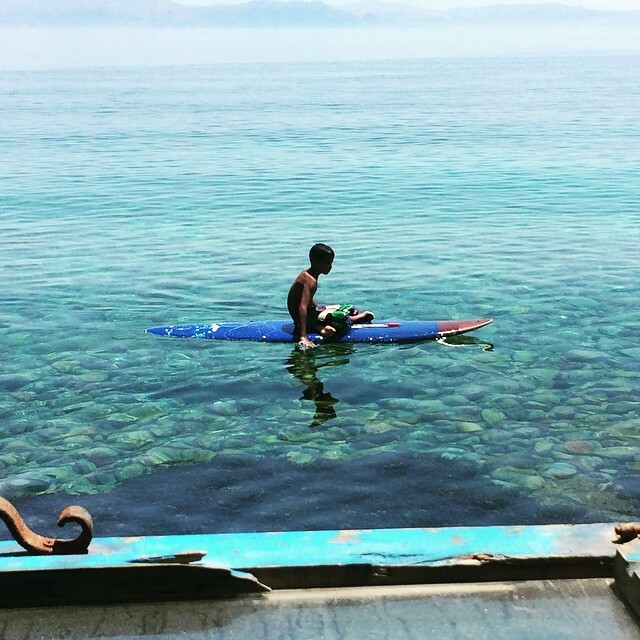 It’s run by Mohamed Ghareb, who is great to follow on Instagram for a little slice of Dahab life. At night, the shop’s lamps are a sight to behold and inside there’s a treasure trove of trinkets, jewellery, furniture and lighting. I know people who live here who love buying something from this shop for their homes because he always has ‘something a little bit different’. This beautiful Bedouin national park is only accessible by camel or by boat. I went with a group last time I was here and we had a fish lunch by the sea. I hung out in the shallows while my friends dived. Tranquil and away from everything. 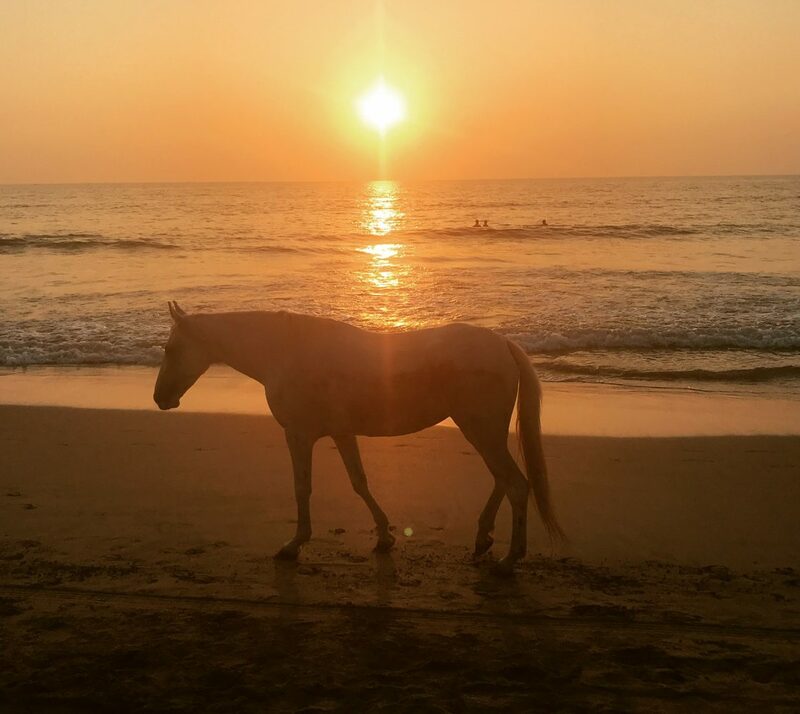 Time to contemplate the beauty of the world. The beach at Ras Abu Galum. I haven’t ever tried the Quad-Biking, Camel/horse-trekking or Jeep Safaris into the mountains but these are other non-swimming-related activities you can do in Dahab. You can also easily visit Luxor, Jerusalem or Jordan – Petra is on my list of places to visit next time. Might just head to the beach.